But the years passed and time wears things down, and Toby was no exception. 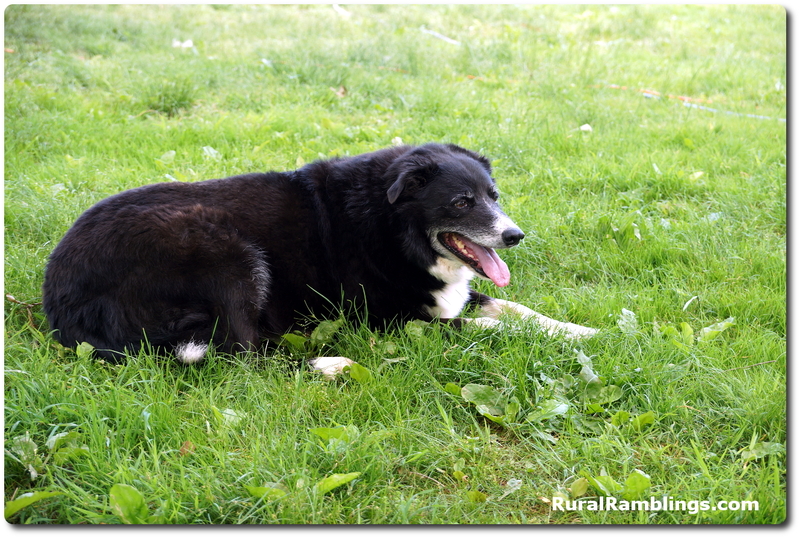 He got gray around his eyes and muzzle, had arthritis in his joints, and just generally slowed down. Here are some pictures taken during Toby’s later years. He still loved to carry around sticks, follow us everywhere, and took his job very seriously of barking at the thunder to make it go away. And he always loved to play in water! 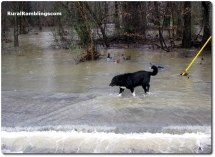 2010: Toby wading through flood waters. 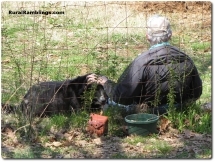 2010: Taking a break with his buddy, The Farmer. 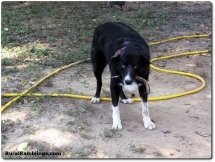 2010: If there is no stick available, make do with a feather! 2010: How about some food in this bowl? 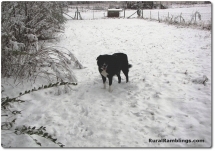 2010: Walking through the snow - not as fun as wading in water, but it will do. 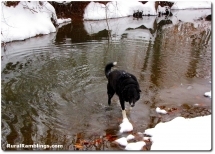 2011: Wading in the creek on a snowy day. 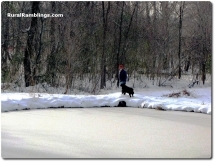 2011: Checking out the frozen pond. 2011 A study in back and white... one black dog in lots of snow! 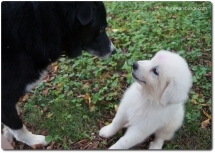 2013 Toby meets Tasha for the first time. 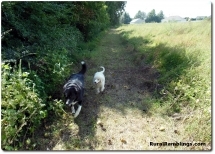 2013: Dogs walking in pasture. 2013: Everywhere Toby went, Tasha followed. 2013: No matter how old a dog gets, a good stick is a must. 2013: Tasha loved to chew on Toby. 2014: Toby and Tasha getting treats from our grandaughter, Ellie. 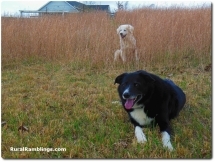 2015: Every morning, the dogs waited for me to open the gate so we could go walking in the back pasture. 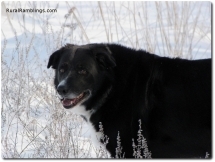 2015: The older gentleman dog. . .
2016: Steps got harder to manage as he got older. His final resting place, beside his good friend, Neffie. Now that he is gone, Tasha has lost her buddy. One of my 3 walking companions is gone. There is no one to walk to the mailbox with me. I don’t see any bright eyes shining on the other side of the fence by the driveway when we come home from the grocery store. 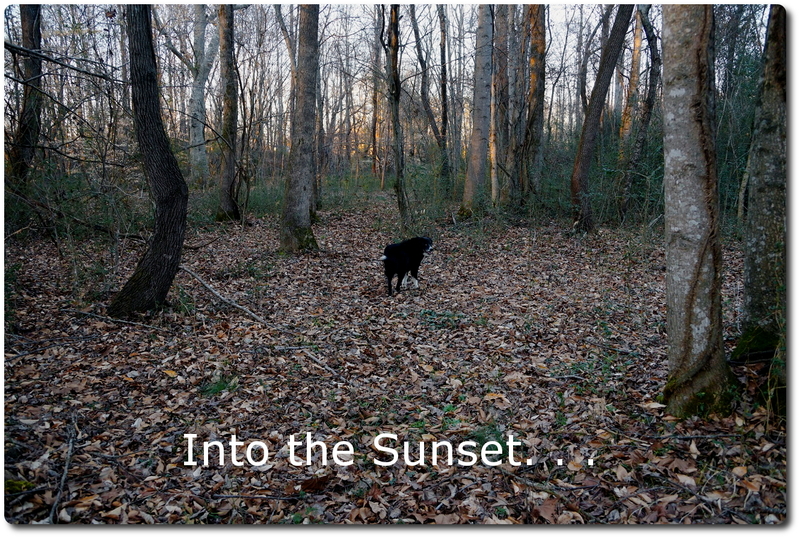 There’s no stick-tight dog beside me when I go out at night to check on the critters. His presence was woven throughout our daily lives and I miss that. 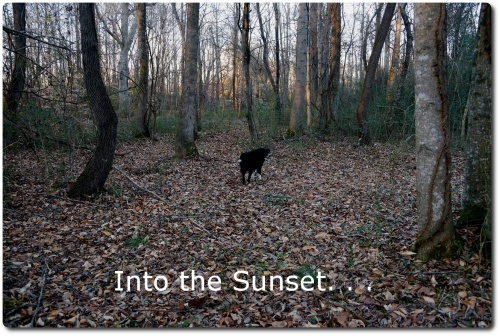 Though his body may be in that final resting place, I prefer to think of his spirit as having walked off into the sunset. . .
Good-bye my great friend. I miss you.